There are so many benefits to living on Ambergris Caye, Belize, that many people who have gone there on vacation find themselves returning shortly as residents. It's no wonder that the community of ex-patriots from other countries is growing: there's so much to do in this unparalleled paradise that it's hard to blame people for wanting it to be a part of their daily lives. But what makes living here so remarkable that people continue to purchase homes, so that they never have to leave? Many people who choose to move to another country quickly find themselves missing the comforts of home. They like their new surroundings, but it all feels very alien and can make somebody think of themselves as an outsider rather than an integral part of the community. Ambergris Caye doesn't have that. While it is unquestionably a tropical community, it also mimics in many respects the look and feel of areas in countries further north. Many American and Canadian residents, for example, say the place that they live is not much different from where they grew up, and having a house in a familiar setting can make the exotic nature of the rest of the island that much easier to acclimate to. Further, the cost of living is surprisingly low. Considering that this is largely a tourist area, one would expect for everything to cost more than average. The truth is quite the opposite, and one could even argue that part of the reason why it's such a popular tourist destination is because prices are so low compared to someplace like the United States. Another benefit to living in Ambergris Caye is that it is ideally suited to retirees who are looking for a place to enjoy the best years of their lives in a tropical wonderland. There are innumerable reasons why becoming an Ambergris Caye resident late in life is a great idea, but here are just a few. For one, the healthcare system in Belize is top notch with some of the best doctors in the world ready to help with any little malady or chronic condition you may have to deal with. On the island itself are a number of high-quality medical professionals who also have access to excellent hospitals in nearby Belize City if something is really wrong. You'll also quickly find a lot of other people just like you who have chosen to move to Belize now that they are no longer working and have fewer commitments. More and more people have decided that owning a home on Ambergris Caye is a fantastic way to relax and really get the most out of their lives after years of hard work. 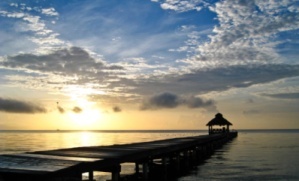 Moving to Ambergris Caye, Belize, is a decision that many have made and very few regret. It's perfect for people of all ages and a dream come true for many.